The Harvest Festable accommodation is the highest demand we people booking a year in advance at times. Often bookings are made for one half of the week or the other. To ensure that you are look after and have your accommodations sorted in Time ring or call today. Please note that all reservations require credit card confirmations of details. 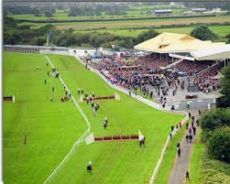 Local bus operators run every fisteen minutes from Ballybunion to the Races.